Fort Sedgwick (1864-1871) – Originally called Camp Rankin, this post was located opposite the mouth of Lodgepole Creek about one mile upriver from present-day Julesburg, Colorado. The camp was founded during the Indian uprisings in Colorado that peaked in the summer of 1864 and was responsible for protecting settlers, emigrants, and the overland route to Denver. The town of Julesburg, just to the east, was a stage and freight station. Early in 1865, the area was being heavily raided by Plains Indians in revenge for the Sand Creek Massacre, which had occurred in November 1864. On January 7, 1865, a thousand Cheyenne, Arapaho, and Sioux warriors attacked the weakly garrisoned post and killed 14 soldiers and four civilians. 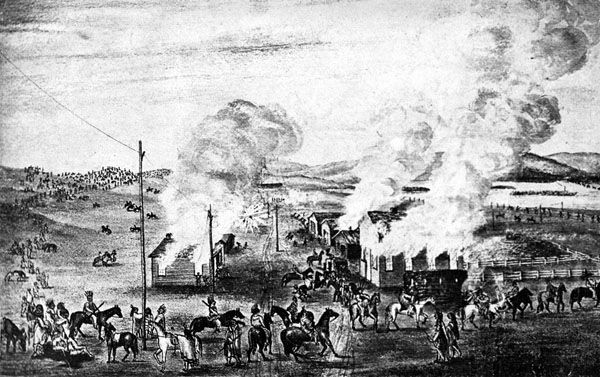 Afterward, the Indians sacked the town of Julesburg. 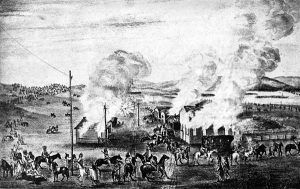 A few weeks later, on February 2nd, they again attacked Julesburg and it’s few citizens fled to Fort Sedgwick and watched as their town was pillaged and burned to the ground. No attempt was made to rebuild Julesburg, and it subsequently occupied three different sites nearby, including that of the present town. In the meantime, the military post was enlarged and renamed Fort Sedgwick, in honor of General John Sedgwick, who was killed during the Civil War. For the next several years the troops protected the Overland Trail and the meadows surrounding the post became a favorite emigrant campground. During the construction of the Union Pacific Railroad across western Nebraska in 1867, troops from the post protected the construction workers from the continual threat of Indian attack. 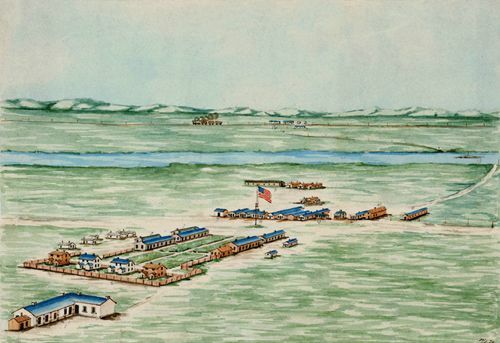 In May 1871, the fort was abandoned by the U.S. Army. Nothing remains of the old fort today, which was situated along the South Platte River Trail, a 19 mile Colorado Scenic Byway. The site is designated by a marker, but all that’s left is a field. The original flagpole from Fort Sedgwick was moved to Julesburg and is now in front of the Julesburg library. The town also features the Fort Sedgwick Museum, which interprets the history of the fort and the area. By Kathy Weiser-Alexander, updated May 2018.